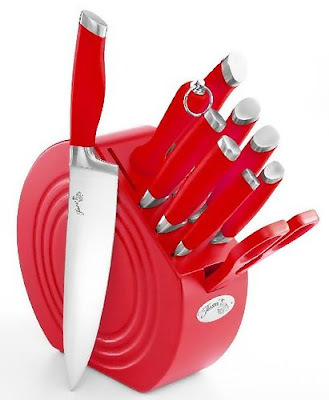 Looking for a cool knife storage? 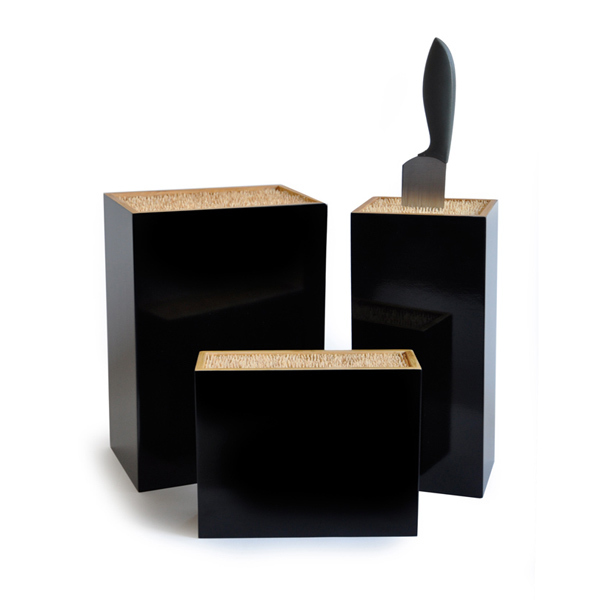 Here are some creative options to choose from. Epicurean Magnetic Knife Holder: This attractive and functional wall fixable knife holder has powerful hidden magnets that holds your knives securely to the faceplate. Cutlery Set with Wood Knife Block: The sharp colors makes the cutlery set with the matching wood block a fun and a functional addition to every kitchen. Knife Frame: Designed by R Chorpash for CulinHome; this ultra-modern knife stand showcases cutlery, can be placed directly on a kitchen wall or used on counter top. 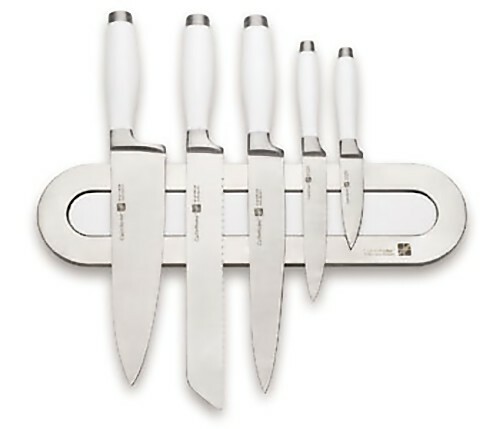 The design displays and allows easy selection of appropriate cutlery. 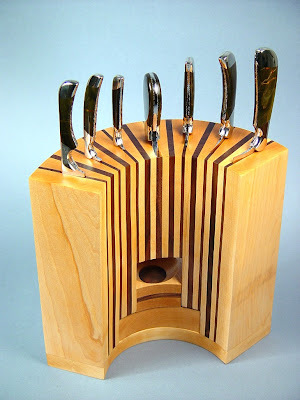 Custom Knife Block From Jay Fisher: This custom knife block from Jay Fisher is a multi-component, heavy, and is made from substantial pieces of hardwoods. 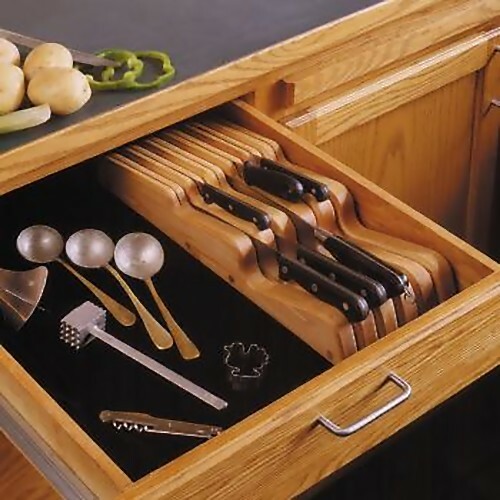 In-Drawer Knife Tray: A cool in-drawer option: a knife tray that can hold 5 large knives and 6 small knives. 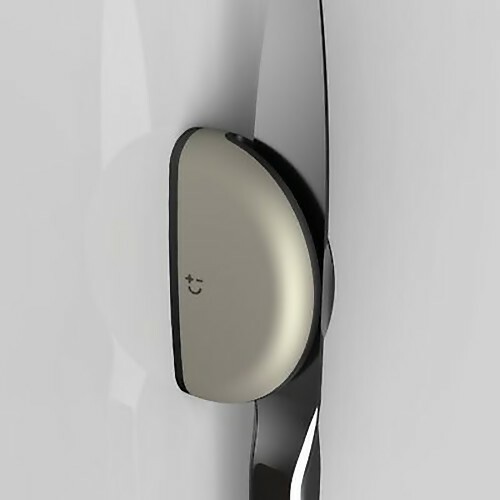 Knife Magnets: These circular wall magnets can be fixed to your wall and securely holds two standard knives or one large knife. 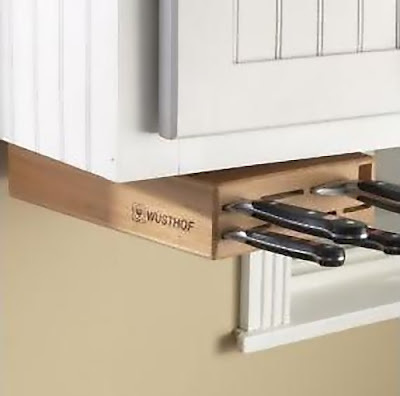 Speed Loop Set Magnetic Knife Holder: This cool knife holder displays and allows easy selection of appropriate. 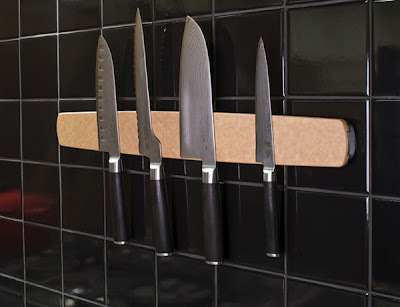 Scanwood Knife Magnets: Another interesting magnetic option from Denmark. 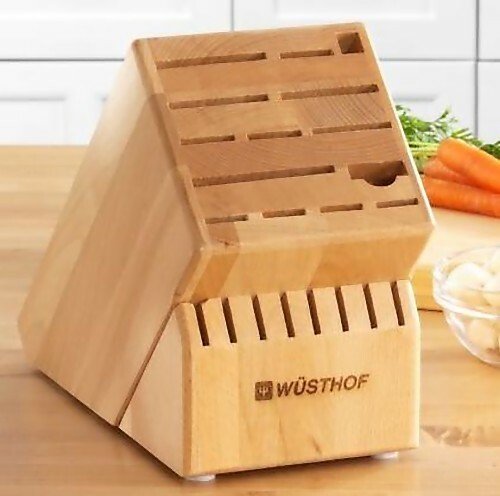 Wusthof Under Cabinet Knife Block: This block can store any of the 8 knives; and it swivels and keeps knives at a safe distance below the cabinet. Wüsthof 22 Knife Block: This cool knife block can store four cook's knives, eight steak knives in base and 10 more mix and match knives and accessories for a customized knife set. 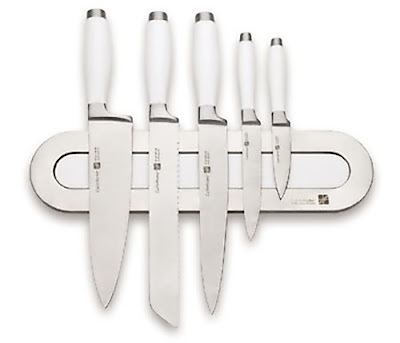 Bisbell Single Magnetic Knife Storage: This elegant wall fixable knife storage system comes with super strong neodymium magnets and is perfect for locating regularly used knives close to the food preparation area. 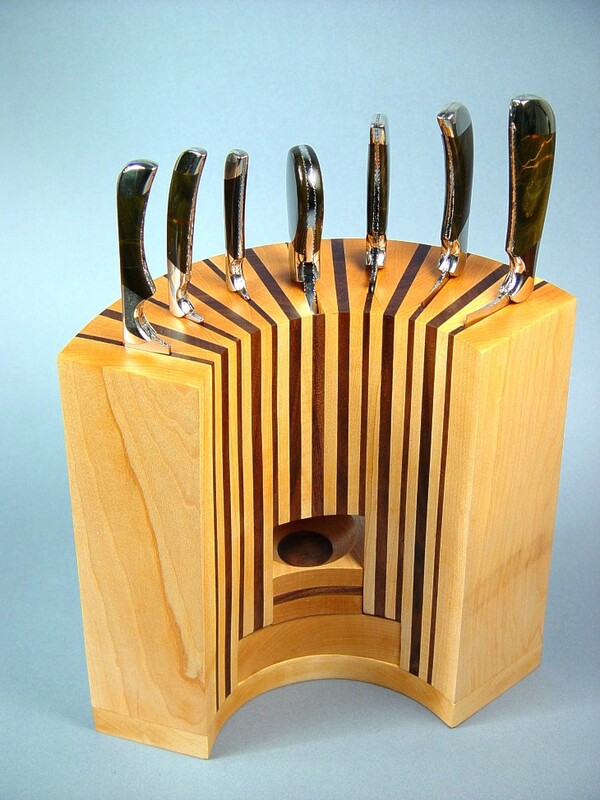 Don't miss to check out "Cool and Creative Knife Storage Designs - Part: 1| 2."